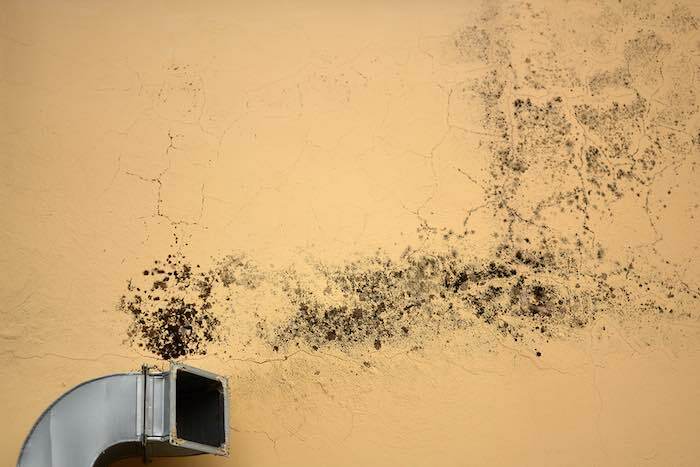 Home » Blog » What are the Effects of Mold in my HVAC system and How do I Know If I Have it? What are the Effects of Mold in my HVAC system and How do I Know If I Have it? Mold is everywhere. It grows just about anywhere there is excess moisture. In the case of your heating and cooling (HVAC) system, that means ductwork, AC evaporator coils, and drip pans are the perfect environments for mold growth. This is especially dangerous because when left unchecked, mold can spread through the air in your home and make your family sick. Mold is a fungus that grows in microscopic filaments throughout our environment. Mold spores float through the air, both inside and outside, and grow when they land in moist environments. These spores make up a large amount of the dust in your household and workplace, which can cause health problems for you and your family. Why Should I Care About Mold Growth? Mold growth outside is natural and good for the environment. However, indoor mold growth can be dangerous, especially when it is located in your HVAC system’s ductwork, coils, and drip pans. Since ductwork circulates air throughout your home, mold growth located in the ducts or around the entrances to the ducts could mean your family will be breathing unhealthy air. While most molds only produce dust and allergens that can cause minor respiratory problems, itchy eyes, coughs, sinus problems, etc., there are some molds that can cause more serious problems. Molds that produce mycotoxins, known as “toxic molds,” can be extremely harmful to your family. Daily exposure to these kind of molds can cause brain issues and even lead to death. Whether it’s in your ductwork, evaporator coils, or drip pans, looking for mold is the easiest way to find it. Make a habit of walking through your home and looking for signs of mold. If your home is usually humid, add this task to your weekly cleaning routine. If it’s drier, make it a part of your monthly furnace filter inspection. Look at all registers, visible ductwork, evaporator coils, and AC/furnace drip pans. Do you see mold? If no, that’s great. But you may still be at risk. Remember, mold grows in moisture. Is there pooling water that may encourage mold growth? Are any drains blocked? Do you see condensation on the outside of your vents? What about on the inside of your registers? Coils dehumidify the air and drip the resulting condensation into drip pans. If those coils are working too hard or drip pans are blocked, the resulting moisture becomes a perfect habitat for mold growth. Keep your eyes peeled for mold spores — and the condensation and excess moisture that help it grow — in order to keep your home clean and family healthy. What about the ductwork you can’t see? What if you can’t see inside registers or down the drain in drip pans? Use your nose! When mold grows in your ductwork, it gives off a strong mildew smell that spreads throughout the house. If you suddenly start smelling mildew, try turning your system off, waiting 10 to 20 minutes, and then turn it back on. If the smell goes away — or gets weaker — when your system is off and comes back when you turn it back on, you may have mold in your ductwork. If you don’t see mold or smell it, you most likely don’t have a mold problem. Want to be 100 percent sure? Call an HVAC professional or mold specialist. While mold testing can sometimes be expensive, it is a good way to be completely sure ductwork is free of harmful mold. Now that you have a better idea of what mold is and how it can affect your family, keep an eye out for HVAC.com’s DIY blog post about how to remove mold from your ductwork, coils, and drip pans. Do you look for mold in your home on a regular basis? Do you have any other tips for our readers? Share your thoughts in the comments below! 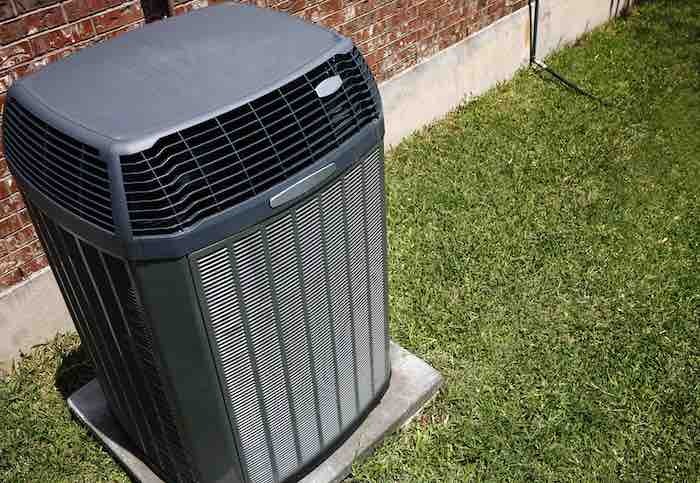 HVAC Q&A: Do I Need to Replace My Indoor and Outdoor HVAC Unit At The Same Time?